Mountain Grange offers all of the luxuries of a modern holiday home while retaining a rustic feel and we have always felt that a luxury holiday should be complimented by the beauty of the surrounding area. As well as ensuring your stay in our luxury lodge is to the highest of standards, we are also delighted to arrange any of the vast range of tours and activities that the lodge, the Cairngorms National Park and the Spey Valley offers. The Aviemore area is blessed not only with beautiful scenery throughout its mountains, glens and valleys – but also some of the most adventurous and awe-inspiring activities in the country. With the Cairngorm Mountain Range quite literally on the doorstep of the Mountain Grange and activities for the thrill seeker and relaxed holiday maker alike – we can guarantee a luxury holiday to remember. In addition to the activities detailed above, there truly is an endless supply of things to do for everyone. Whether this is a family visit to Scotland, family gathering or a wedding that wants some added sparkle – it’s all here. 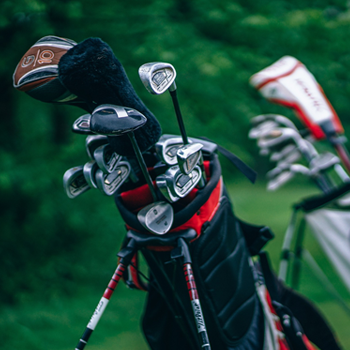 Just a short drive away is Boat of Garten where the beautiful James Braid Golf Course can be found in amongst the river and woodlands. There are some fabulous walks and cycle rides around the area all of which are complemented by the range of wildlife. Loch Garten offers some of the country’s most amazing observation areas of wild ospreys that have come to nest here for many years following their long migration flights from Africa. On Loch Garten, you will find a custom built hide to watch the ospreys hunt and fish the loch while they defend their eggs and chicks from the many ‘intruders’ and rival birds. The River Spey, as well as the many other local lochs and rivers, offer some fantastic fishing. Permits are readily available for both trout and salmon. 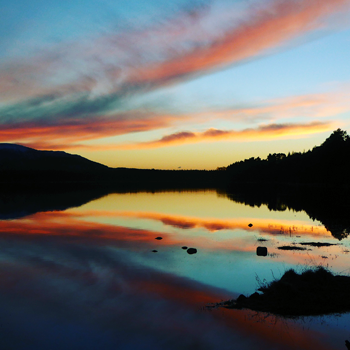 On your doorstep is Loch Morlich, a stunning beach that is 300 metres above sea level in the shadow of the Cairngorms. Here you can take part in sailing, windsurfing, paddleboarding and kayaking – not to mention beautiful mountain biking routes around the loch and estate. With 8 golf courses in the local area, there is no shortage of opportunities to enjoy the highlands with a swift round. 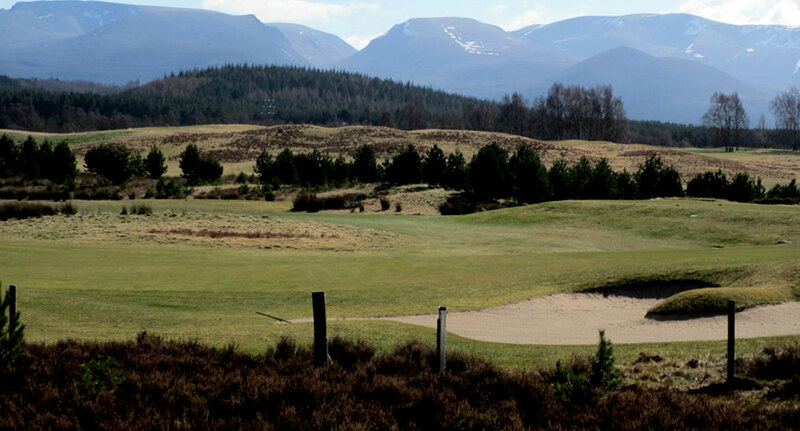 Whether you are looking for a short nine holes to start the day, or something a bit more challenging like the Spey Valley Championship Course – it’s all here. 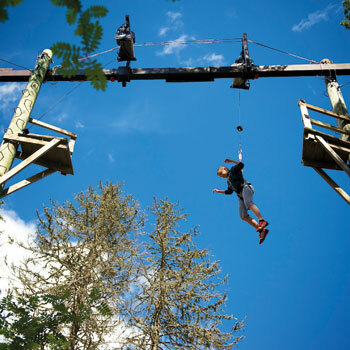 Carrbridge hosts this stunning, nature-based theme and adventure park. The Landmark Adventure Park has many thrilling rides and attractions, also highlighting the importance of wildlife conservation and attracting endangered species such as the red squirrel. At the Mountain Grange we always focus on the most important person, you. Why settle for a generic group tour when you can have a completely tailor made experience? We create completely personalised touring & event experiences based on exceeding your expectations. Please detail in your enquiry to the Mountain Grange any tours or activities that you would like to know more about in your enquiry and we would be delighted to provide more information and make all the arrangements for you during your stay.